Azimjan Askarov, a leading human rights activist imprisoned in Kyrgyzstan, has taken his case to the UN Human Rights Committee, in a complaint filed on his behalf by the Open Society Justice Initiative and Nurbek Toktakunov, a Kyrgyzstan-based lawyer. The detailed 115-page filing provides extensive evidence that, beginning with his arrest in June 2010, Askarov was subjected to torture, to arbitrary and unlawful detention, and ultimately to an unfair trial process which led to him being sentenced to life in prison. The filing argues that Askarov, now aged 61, was targeted for abuse both because of his work as a human rights defender, and because of his ethnicity, as a member of the Uzbek minority in southern Kyrgyzstan. Over the past two years, Askarov has unsuccessfully requested an investigation of his complaints by the authorities in Kyrgyzstan. In June 2010, Askarov, a well-known human rights defender who focused on reporting police abuse, was detained after a police officer was killed in an outburst of ethnic violence in the Bazar-Korgon region of southern Kyrgyzstan. His detention was not registered for 24 hours, and his family was not informed about his detention. At the police station, Askarov, an ethnic Uzbek, was repeatedly beaten, degraded, and denied medical treatment on account of his human rights work. His lawyer, who was only able to see him after a week of torture, was attacked when he tried to visit. These attacks continued during Askarov’s flagrantly unfair trial. In addition to the defendants being subjected to beatings by the police, crowds at the trial shouted ethnic abuse at the defence lawyers, and threatened potential defence witnesses with violence. After Askarov was sentenced to life in prison, the sentence was upheld both during an appeal marred by similar violations, and by the Supreme Court in Bishkek. He remains in prison today, where he is denied medical treatment for the effects of his torture and other serious medical conditions. “Askarov’s trial is a textbook case of denial of justice, said James A. Goldston, executive director of the Open Society Justice Initiative. “The immediate release of Azimjan Askarov is the first step that Kyrgyzstan authorities should take if they are serious about the rule of law and reconciliation. Kyrgyzstan also needs to address systemic failures of its detention, investigation and trial procedures that made such blatant violations possible”. The complaint urges the UN HRC to request that Kyrgyzstan quash Askarov’s conviction and immediately release him, and provide him with a full medical examination and treatment. It also asks for the creation of a commission of inquiry to investigate the circumstances of Askarov’s detention and torture, and to review all other convictions related to the 2010 violence. Kyrgyzstan also needs to introduce recognized safeguards against torture, including the timely registration of all detainees; proper monitoring of detention facilities; independent medical examinations; prompt and unimpeded visits by the lawyers to anyone in detention; and the creation of an independent mechanism entrusted to investigate torture. The abuses suffered by Askarov are representative of a wider pattern seen in a series of prosecutions of ethnic-Uzbeks that followed the ethnic violence in southern Kyrgyzstan in 2010. Juan Mendez, the UN Special Rapporteur on Torture, noted after a visit to Kyrgyzstan in December 2011 that the police had failed to take meaningful steps to investigate complaints of torture in the aftermath of the violence. 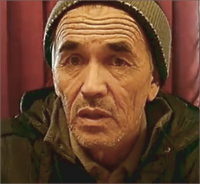 Azimjan Askarov is recognized as a prisoner of conscience by Amnesty International. He has received international human rights awards from the Moscow Helsinki Group, People in Need (a Czech-based organization), and this year from the US-based Committee to Protect Journalists.